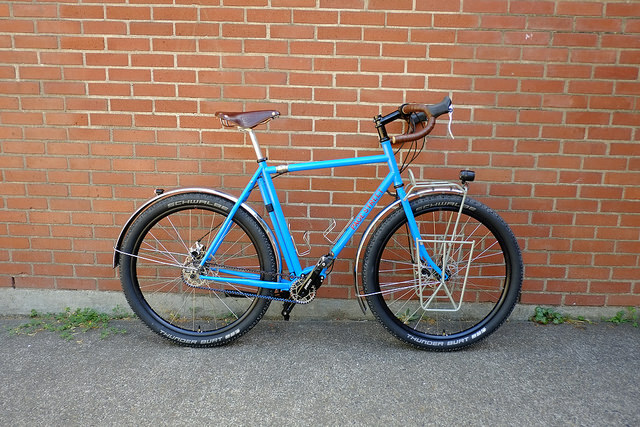 A few weeks ago a customer, named Gustav, contacted me who’d taken his new bike on tour. 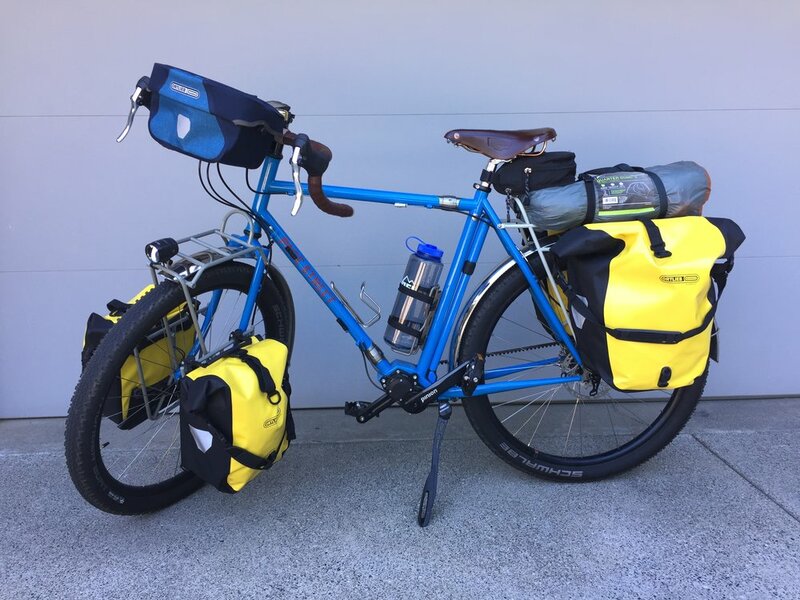 He picked up the bike at our workshop, a new Page Street Outback with a Pinion gearbox, and very shortly after was taking off on a three-day tour through the Cascade Mountains and to the coast. There was really not much time for him to get accustomed to his bike before he left. When a bike is brand new I always recommend a person ride it for a while before going out on any sort of multi-day ride loaded down with gear, just to get the bike dialed in and the bugs worked out. Short tours are fine, over-night trips or a weekend get-away. But I don’t think it’s wise to commit yourself to too much. Maybe go on some day rides, so you can pay attention to how your body and the bike work together. Bring along some basic tools since you may need to adjust the saddle fore or aft, or to adjust your stem, your pedal cleats, any number of things. You’ll always be able to do micro-adjustments while on tour, but if possible you don’t want to be surprised by anything major while out on a bigger ride. I’m back from the bike camping trip. Overall it all went very well. We did modify our last day of riding to avoid riding back over the coastal range in near 100 degree weather. Instead we opted to spend the last night further down on the coast at Cape Lookout State park and then we biked back to Tillamook and took the bus back to the Portland area. Gustav’s experience got me to thinking about how we interface with our bicycles. 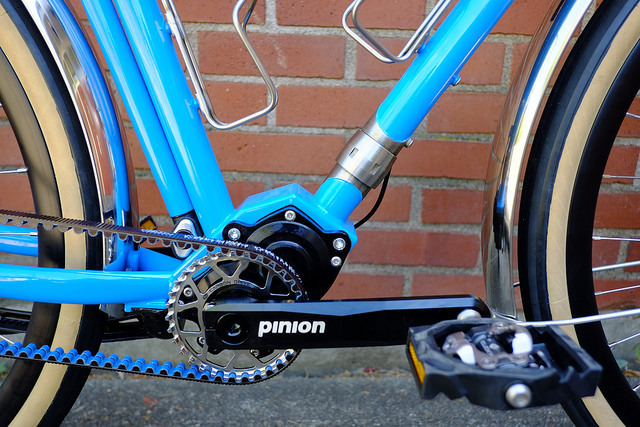 A purpose-built bike will perform optimally under certain conditions, and based on the design and intended function you may find that your ideas about how a bike should perform may differ from how the bike wants to be ridden. Gustav went the long way around learning what best suited his low-trail bike, how to load it so it would ride most comfortably, stably, and “intuitively.” Not all bikes, not even low-trail bikes, will handle the same. A bike’s trail is just one of many variables that work in concert. Trail is one of the weirder and more elusive forces to talk about, but it’s very real. Other more obvious variables include tubing material (steel vs. carbon vs. ti etc. ), tube diameter and wall thickness, wheel and tire size, tire pressure, rider weight distribution, and so on. As a frame builder I work with an individual to design a bike that will function optimally when used how it was intended. But remember, I’m aiming for a target, and there is a lot of interpretation involved, as well as a lot of subjective experience. Especially in regards to touring bikes, I don’t know what you’re going to carry, how much weight, and if you’re going to try carrying a camp chair and a charcoal grill, or just a Sterno canister and a spork. It is up to you, the owner of the bike, to pack it and take it out, ride it and listen to it. In my opinion, that’s part of the joy of a getting a new bike, is figuring out what it can do, and how it responds to different loads and on differing terrains. The more you ride, and especially tour, the more refined your ideas will become, both for what you want out of your bike, what gear you carry, and how you carry it. Experiment, listen, adjust, enjoy. Repeat.